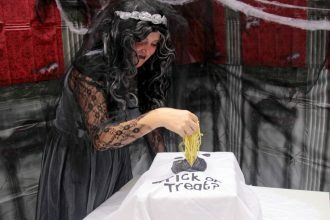 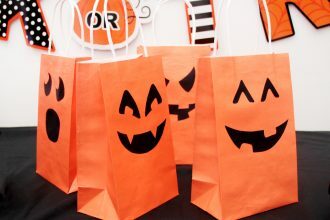 Get crafty for Halloween with our spooky selection of easy Halloween crafts for kids. 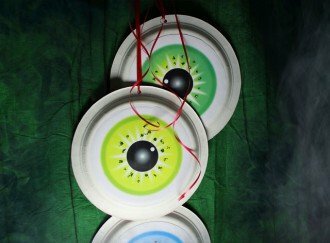 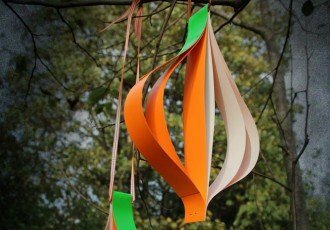 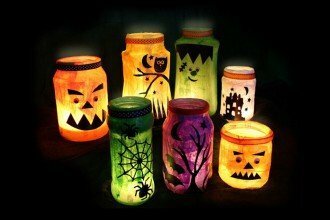 Find DIY costume ideas, Halloween lanterns, homemade decorations and more. 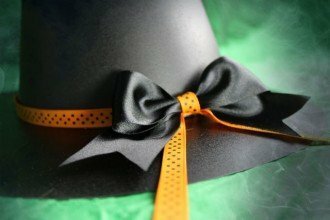 Need some cute Halloween themed DIY decorating ideas? 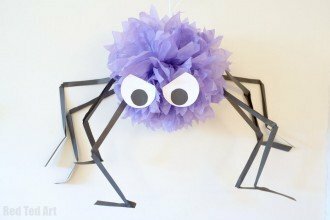 Then look no further, today we have some fabulously fun GIANT POM POM SPIDERS for you…. 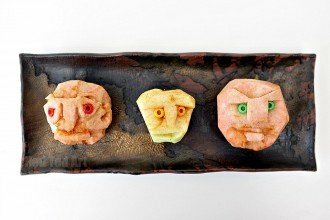 Wondering what to give to trick or treaters this year? 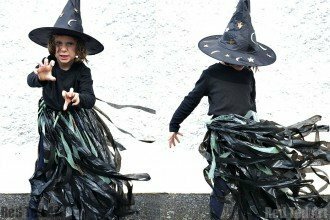 Give them something spooky with our cute (ad completely free!) 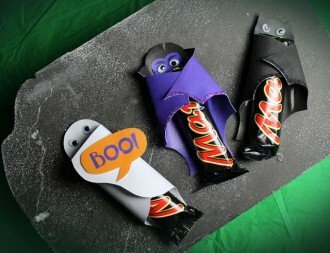 Halloween chocolate bar wrappers….